The Blue Jays are in dead last in their division this season and Toronto, a pseudo-streaker and one hilarious police officer have had about enough. In early May, Blue Jays fan Joe Blackspace jumped over the bleachers and on to the field during a game between the Blue Jays and Seattle Mariners and was promptly arrested. In a remarkably detailed account of the incident, Blackspace says he was motivated to take the plunge by a "quarter-life crisis" and "a pretty rigid life." While the idea that jumping on the field during a professional sporting event qualifies as life-changing rebellion is pretty funny in itself, the police report on the incident is several degrees more hilarious. Read it for yourself below. The hilarity didn't end there. Blackspace's attorney picked up on the argument that his client was simply trying to cheer up Toronto's beleaguered fans and the prosecuting lawyer was inclined to agree. The charges were eventually dropped. 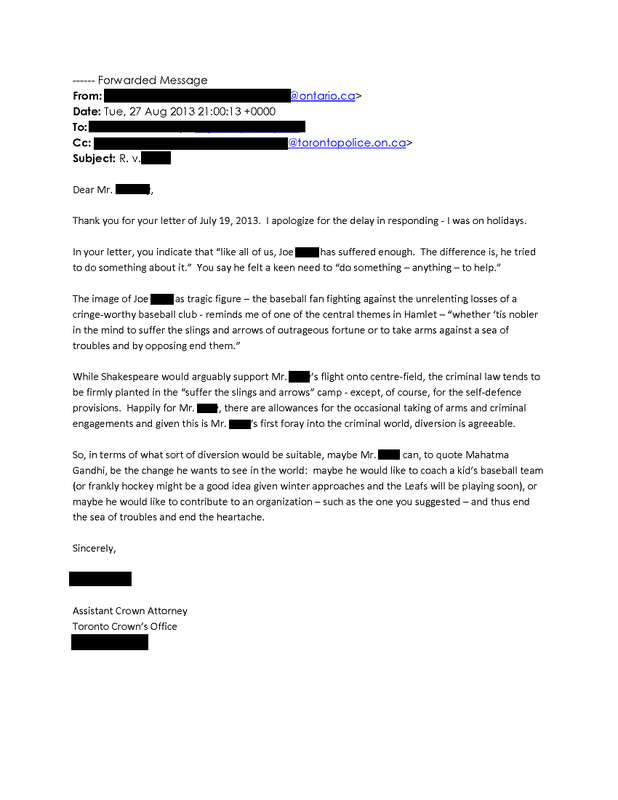 Both of the lawyers' letters are worth a read, particularly the missive from the prosecution which features a lengthy and complex comparison of Blackspace and Shakespeare's Hamlet. Is there any doubt left that Canada is the best? Need more proof? 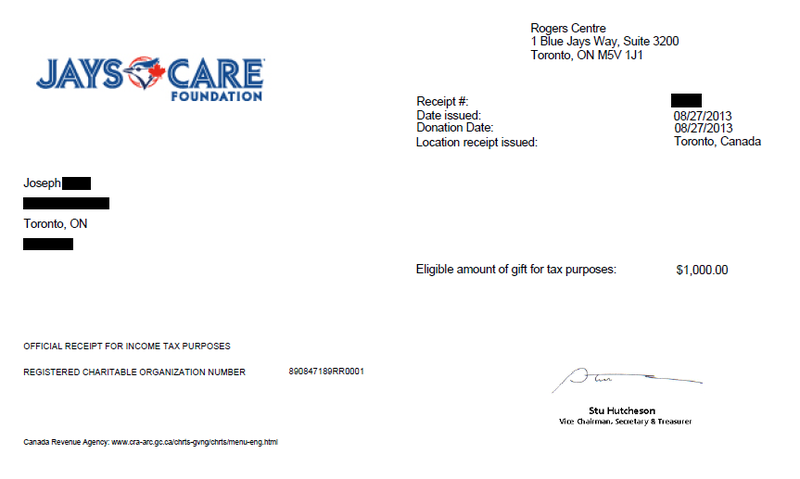 Blackspace made amends for his on-field antics with a $1000 donation to the Jays Care foundation. Despite making headlines around the world , it seems the incident has not provided the Blue Jays with the motivation they so desperately need. The team has the only record below .500 in the American League East. Well, there's always next season. Right, Rosie?